On May 15, 1930, the Board of American Mission, United Lutheran Church of America, chartered St. Paul’s English Evangelical Lutheran Church with the Reverend Paul J. Gerberding as mission developer. A World War I, prefabricated building was erected on the corner of Lewis Avenue and Garden Place. St. Paul’s called The Reverend H. Paul Romeis as its first pastor. In the 1936 Reverend Edward A. Voorhees assumed the pastorate. During the Great Depression, the small congregation faced financial hardship just like the people of our country. Yet, as the congregation was growing, more space was needed. Pence Cans and Penny Suppers fundraisers were created to help build a fund for property improvements. 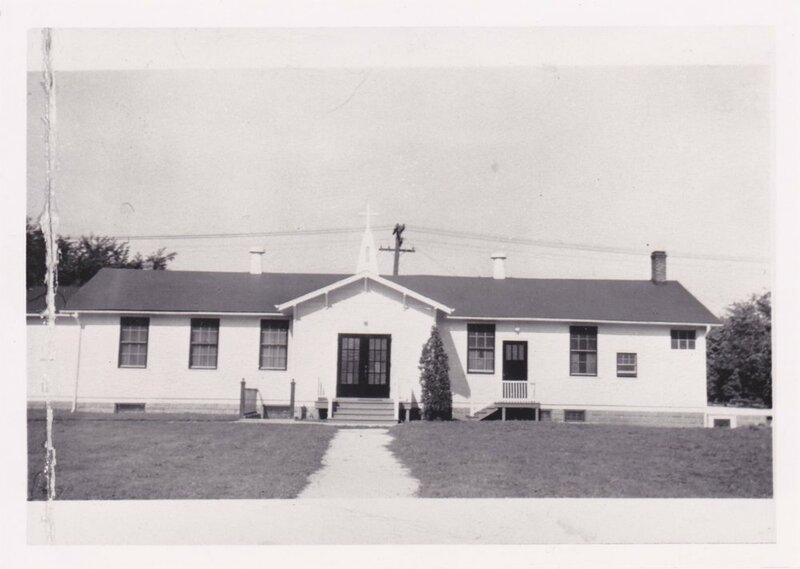 To provide more Sunday school room, a decision was made on January 21,1937 to move the entire building and face it toward Lewis Avenue. No indebtedness was to be incurred since Mr. Arron Thomsen agreed at that time to dig out the basement at no expense, and donations were made by the councilmen and Reverend Voorhees of $200 to cover additional expenses. “But, to get around from moving the church around to increase seating capacity, an interesting discussion was brought to the attention of the congregation on January 11, 1938 by Rev. Voorhees, who explained the changing of the Altar to another location in the church. He explained the benefits of the altar being changed and after a lengthily discussion, it was found that a majority were very much in favor of the change. The expense was to be drawn from the Building and Improvement fund. Several members also were willing to donate money and labor as soon as the work started, which was appreciated by all.” In addition, they decided to build a side entrance to the church facing Lewis Avenue, and a walk to be built leading to Lewis Avenue. The address was changed from 1920 Garden Place to 900 N. Lewis Avenue. During the 1940s we expanded by adding a basement under the existing structure. Many hands dug and carried a few buckets in what is now remembered as the “Bucket Brigade.” A parsonage was purchased on North Elmwood Avenue and our fifth pastor, Reverend Wesley Gallup, was the first to live in it. In the 1950s, with the arrival of Pastor Alden Salstrom, we built a new parsonage on Garden Place. We broke ground for a new church, which was dedicated in 1955, the 25th anniversary of St. Paul’s. Pastor Fred A. Millhouse was installed as assistant pastor. The Education Unit was added and dedicated in 1964, with the original church building demolished soon after. Pastor Alden Tormela was called as assistant pastor. 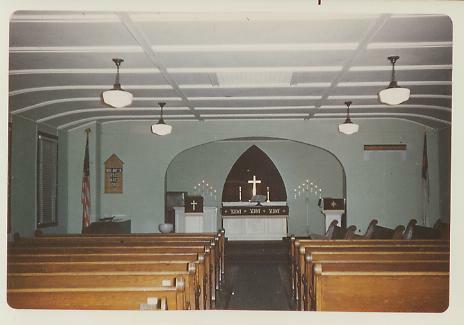 During the 1970s Pastor Tormela resigned, and Pastor Thomas S. Church was installed as assistant pastor. The 1980s introduced a new pipe organ as part of the 50th anniversary of St. Paul’s. Handbells were purchased as an addition to the strong music program. Pastor Salstrom retired and became pastor emeritus. Pastor Church became senior pastor, and Pastor Richard P. Mannel was called as associate pastor. In October 1990 ground was broken for a new sanctuary, dedicated in 1992. During the 1990s Pastors Janet Miller and Pastor Carol Wasemiller joined as associates. 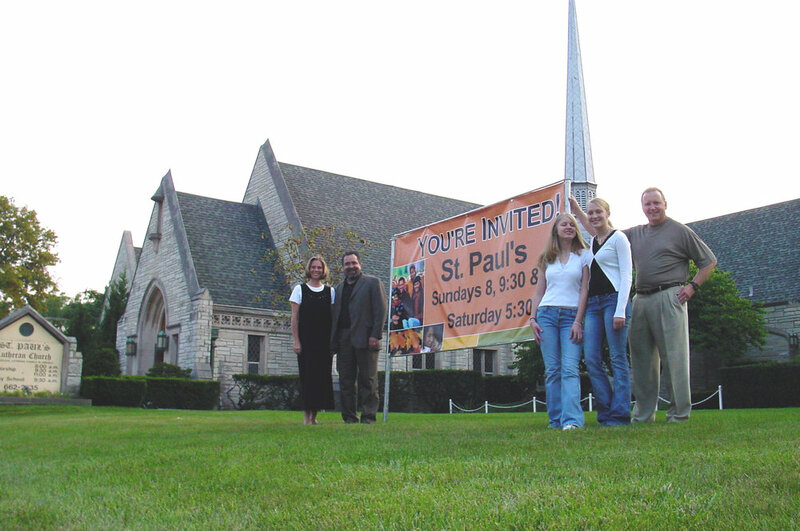 In 2002 Pastor Church resigned as senior pastor, and Pastor Mark Halaas joined St. Paul’s as interim pastor. In 2003 Pastor Caroline Satre and Pastor Brad Davick were called to serve as co-pastors of the congregation. St. Paul’s celebrated its 75th anniversary in May 2005; most of our former clergy joined in the festivities.Twelve years later Pastor Caroline Satre took the call as Senior Pastor to Christ the King Lutheran Church in Granger, Indiana and her last service as pastor was July 30, 2017. Pastor Brad Davick joined his wife Caroline at Christ the King as the Associate Pastor and his last service at St. Paul’s was held on November 26, 2017. St. Paul's called Pastor Mark Rollenhagen and he begain his ministry on October 15, 2018.